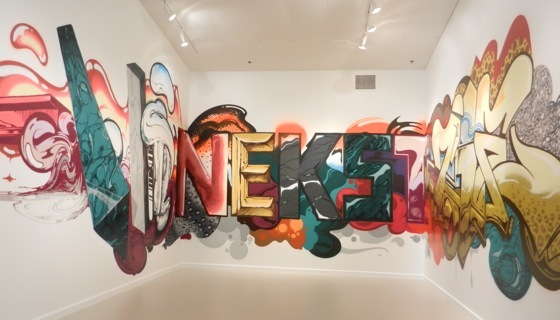 For the Houston Press this week, I head to the Menil Collection for its look at the push-pull between Surrealism and Abstract Expressionism, and the Station Museum of Contemporary Art for its survey on Houston graffiti art. It was a fun week. This entry was posted in Art and tagged Art, Houston, Houston Press, Reviews. Bookmark the permalink.